The Enterprise Quarter, a hub designed to offer solutions for start-up and smaller businesses at SEGRO Park Rainham, has secured five new customers. Carter Global UK, a company which provides freight forwarding services, and Organics Matter, a US-based firm specialising in the production and sale of biofuel products, have each taken a unit on the site, which forms part of the £180m East Plus regeneration programme. East Plus is a partnership between SEGRO and the Greater London Authority which is redeveloping brownfield land across East London to deliver 1.4m sq ft of modern urban warehousing over the next 10 years. Alongside Carter Global UK and Organics Matter, three other businesses have also taken units the Enterprise Quarter. 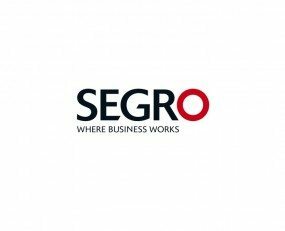 Senso UK Designs, a Dutch supplier of natural flooring products; Deals4Less, an online retail company; and start-up soft drink production company, Mount Valley Beverages have joined to form a business community at SEGRO Park Rainham.